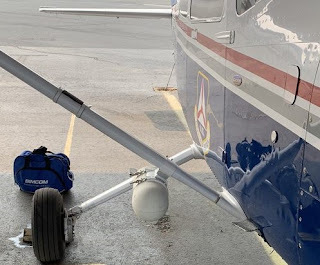 FEMA recently requested the resources of the Civil Air Patrol’s California Wing to assist with the collection of high resolution images in support of the disaster recovery efforts of the Camp Fire. This is California’s largest fire, burning over 153,000 acres, destroying over 18,000 buildings and claiming more than 80 lives. A high resolution infra-red camera unaffected by the smoke and haze was mounted to the wing strut and connected to a tablet. The tablet provides an overhead view of the terrain and the desired track. The mission was a carefully coordinated effort between CAP and the various firefighting agencies requiring special permission to enter the Temporary Flight Restriction (TFR) area. The sorties were flown after the water tankers and support aircraft had departed the area. The low visibility flying conditions and the precise coordinated flight required of the camera require a highly trained crew with sharp Instrument Flight Rules (IFR) and Crew Resource Management (CRM) skills. 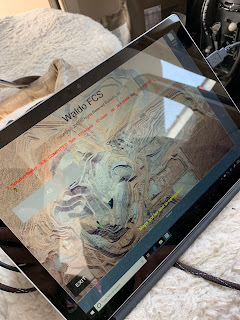 The Mission Observer monitored the tablet, radios, and situational awareness, while the pilot monitored the primary flight display, course track and situational awareness too. CAP aircraft flew multiple successful sorties over predetermined burned out areas taking images which FEMA analyzes to assess the damage and its allocation of resources. CAP has collected images for a number of disasters including the gulf oil spill, numerous tornadoes and hurricanes.